For the Securities Industry Essentials (SIE) exam, you don’t need to know all the minute details about each securities regulatory organization, such as the Securities and Exchange Commission, but you do have to know the basics. To keep the market running smoothly and to make sure investors aren’t abused (at least too much), regulatory organizations stay on the lookout. The Securities and Exchange Commission, or SEC, is the major watchdog of the securities industry. Congress created the SEC to regulate the market and to protect investors from fraudulent and manipulative practices. All broker-dealers who transact business with investors and other broker-dealers must register with the SEC. And that registration means something: All broker-dealers have to comply with SEC rules or face censure (an official reprimand), limits on activity, suspension or suspension of one or more associated persons (such as a registered rep or principal), a fine, and/or having their registration revoked. SEC investigations may lead to a civil (financial) complaint being filed in a federal court. The SEC may seek disgorgement (taking away) of ill-gotten gains, civil money penalties, and injunctive relief (a cease-and-desist order from the court). If the matter is criminal in nature, the investigation is conducted by the U.S. Attorney’s Office and the grand jury. The Securities Act of 1933: The Act of 1933 requires the full and fair disclosure of all material information about a new issue. The Trust Indenture Act of 1939: This act prohibits bond issues valued at over $5 million from being offered to investors without an indenture. The trust indenture is a written agreement that protects investors by disclosing the particulars of the issue (the coupon rate, the maturity date, any collateral backing the bond, and so on). As part of the Trust Indenture Act of 1939, all companies must hire a trustee who’s responsible for protecting the rights of bondholders. The Investment Company Act of 1940: This act regulates the registration requirements and the activities of investment companies. As you can imagine, due to the unscrupulous nature of some investors and registered representatives, the SEC’s job is overwhelming. Fortunately, a few self-regulatory organizations (SROs) are there to take some of the burden off of the SEC’s shoulders. Although membership isn’t mandatory, most broker-dealers are members of one or more SROs. SRO rules are usually stricter than those of the SEC. The FINRA (Financial Industry Regulatory Authority): The FINRA is a self-regulatory organization that’s responsible for the operation and regulation of the over-the-counter market, investment banking (the underwriting of securities), New York Stock Exchange (NYSE) trades, investment companies, limited partnerships, and so on. The FINRA was created in 2007 and is a consolidation of the NASD (National Association of Securities Dealers) and the regulation and enforcement portions of the NYSE (New York Stock Exchange). FINRA is responsible for making sure that its members not only follow FINRA rules but also the rules set forth by the SEC. Additionally, the FINRA is responsible for the handling of complaints against member firms and may take disciplinary action, if necessary. The FINRA is also responsible for administering securities exams such as the SIE (now you know who to blame). FINRA has strict rules (as the other SROs do, I suspect) regarding filing of misleading, incomplete, or inaccurate information as to membership or registration regarding the firm’s registration or registration of member associates. The Municipal Securities Rulemaking Board: The MSRB was established to develop rules that banks and securities firms have to follow when underwriting, selling, buying, and recommending municipal securities. The MSRB is subject to SEC oversight but does not enforce SEC rules. The MSRB makes rules for firms (and representatives) who sell municipal bonds but doesn’t enforce them — it leaves that up to FINRA. 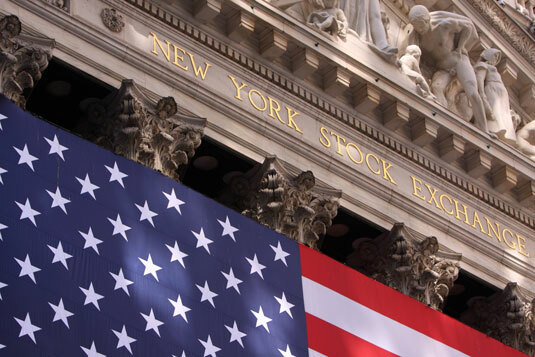 The New York Stock Exchange: The NYSE is the oldest and largest stock exchange in the United States. The NYSE is responsible for listing securities, setting exchange policies, and supervising the exchange and member firms. The NYSE has the power to take disciplinary action against member firms. The Chicago Board Options Exchange: The CBOE is an exchange that makes and enforces option exchange rules. Although SROs may be independent, they do work together creating and enforcing rules. FINRA and NYSE can fine, suspend, censure (reprimand), and expel members; however, the FINRA and NYSE can’t imprison members who violate the rules and regulations. Look at SIE questions with the words guarantee or approve in them very carefully. The FINRA, SEC, NYSE, and so on do not approve or guarantee securities. Any statement that says that they do is false. In addition, because a firm is registered with (or didn’t have its registration revoked by) an SRO it does not mean that the SRO approves of the firm, its financial standing, its business, its conduct, and so on. So, member firms and their associates may not claim that they’ve been approved by the SEC or any SRO. As a way of keeping clients up to date, member firms must send info to customers yearly in writing (which may be electronic). Included in the yearly info is FINRA’s BrokerCheck hotline number, FINRA’s website address, and a statement as to the availability of an investment brochure. Licensing stockbrokers, smaller investment advisor firms (ones managing less than $100 million in assets), and securities firms conducting business in the state. Registering securities on the state level. Investigating customer complaints and possible cases of investment fraud. Enforcing state securities laws. As such, the NASAA may fine, penalize, provide restitution to investors, assist in prosecuting investment-related criminals, and impose new conduct laws to correct problems as they arise. Examining investment advisor firms and broker-dealers to ensure compliance with securities laws and making sure they keep accurate client records. Reviewing offerings that are not exempt from state law. Providing education to investors regarding their rights and providing information so that they can make more informed financial decisions. Advocating for the passage of state securities laws. Don’t go crazy trying to remember every minute detail regarding the NASAA; you’ll have to know more when taking the Series 63, Series 65, or Series 66. Get a general feeling for what they do so that you’re able to recognize them in a question. The United States Department of the Treasury (USDT) was established to manage U.S. government revenue. As such, the USDT oversees the printing of all paper currency and minting of all coins. In addition, it is responsible for collecting taxes through the Internal Revenue Service (IRS), it is responsible for managing U.S. government debt securities (T-bonds, T-notes, T-bills, and so on), it licenses banks, and it helps advise U.S. government branches regarding fiscal policy.